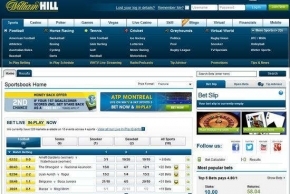 William Hill is one of the original bookmaker with sportsbook locations all around the world. William Hill customer support offers 24/7 multiple language service (English, German, Spanish, Italian, French, Chinese, Greek). You can contact them via e-mail, live chat, international phone support, fax, entry-form on their website or submitting regular posts. If you are looking for a quick response you should try calling them as their staff is very helpful and quick solving any query you provide.